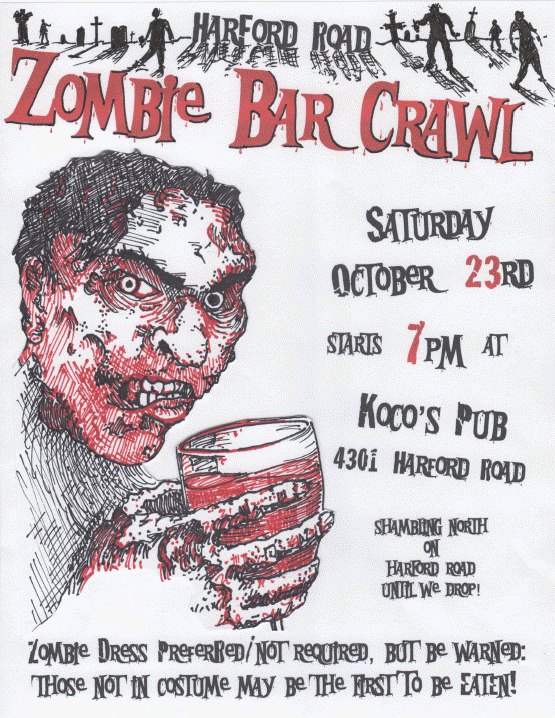 Starts at 7:00 p.m. Koco's Pub (4301 Harford Road) and heading North on Harford. 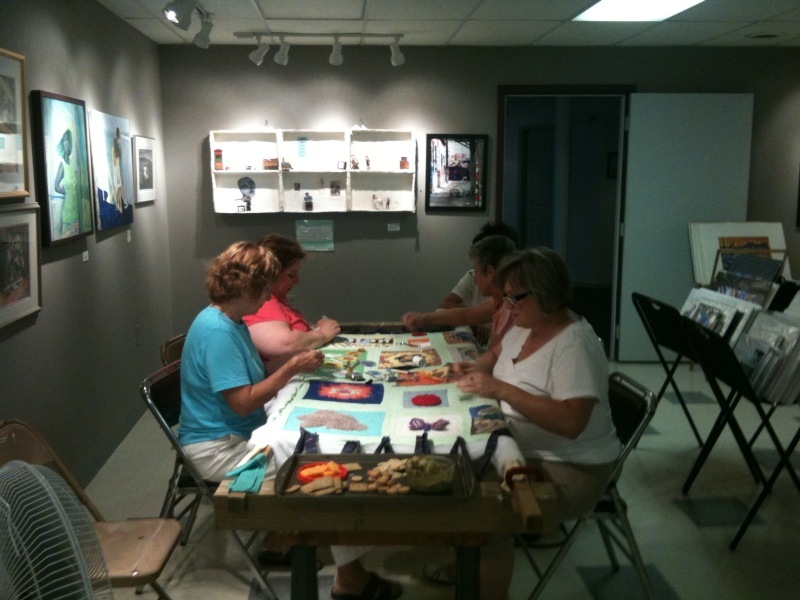 The Hamilton Quilt Circle meets every Wednesday at the Hamilton Gallery from 6:30 p.m.-9:00 p.m. You are welcomed to participate regardless of your skill level, age, gender, or shoe size! If you are able to thread a needle and make a stitch, you meet the requirements. 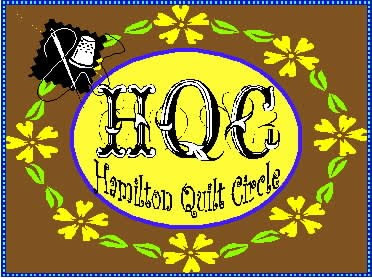 We are currently working on quilts to be raffled as fundraisers in December to benefit the Hamilton Gallery and Hamilton-Lauraville Main Street. 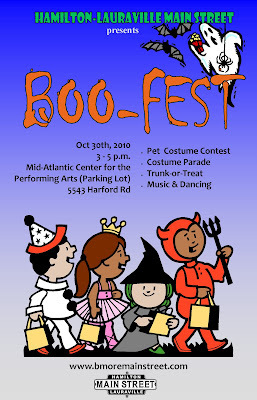 October 30th 2010 from 3:00 p.m. to 5:00 p.m.
More than 25 households...Interesting items of all kinds. 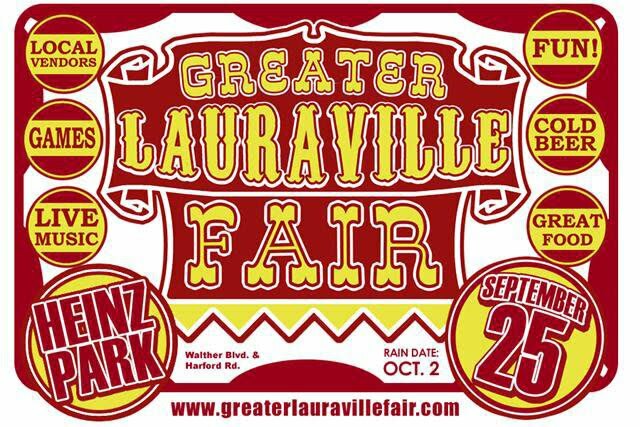 The Greater Lauraville Fair is the same day starting at 12 noon. 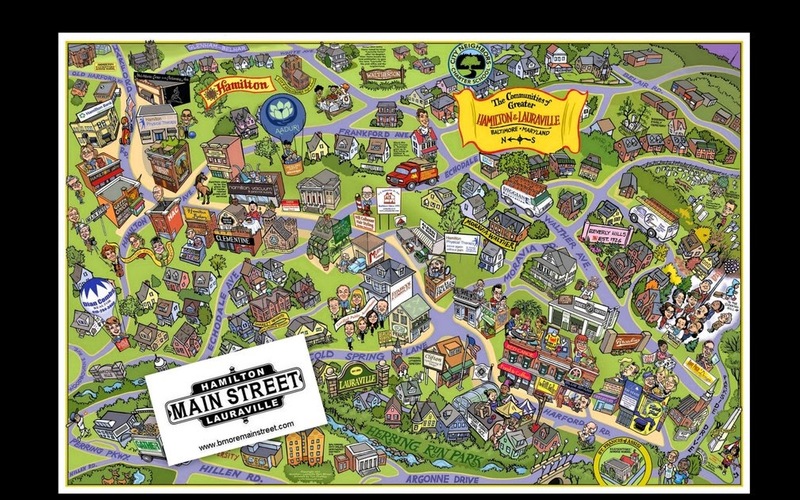 So come to Mayfield's Yard Sale Extravaganza and then go to the Greater Lauraville Fair to enjoy music, food and fun. Rain date Sunday, Sept 26 from 1 - 5. Greater Lauraville Fair - September 25 @ 12 noon. Just a short note to let everyone know that classes are beginning again at Beth's DIY Workshop. Attached is the schedule with their description. Please go to www.bethsdiyworkshop.com to register. Power Tool Blitz for Women tomorrow night at 6:30. Thank you for supporting Beth's DIY Workshop. "It is not our task to judge the worthiness of our path; it is our task to walk our path with worthiness. We have been blinded by the light of heroes and saints. We must learn to trust the light we are given, and to value the light that we can shed into the lives of those around us." 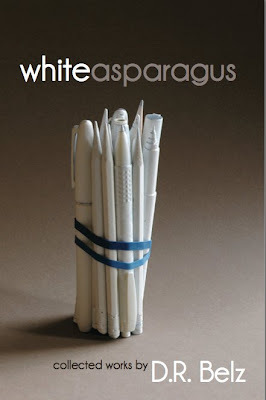 -Kent Nerbern in his book "Small Graces"
Read about Clementine Restaurant where they "reinvent comfort food." 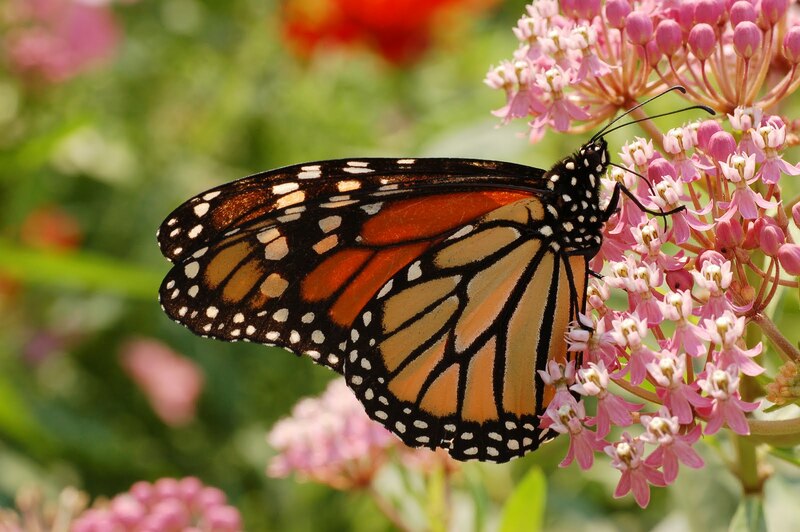 Everyone is invited to visit St. Francis of Assisi School's Butterfly Garden located on Harford Road between the church and rectory. Come to enjoy the garden! 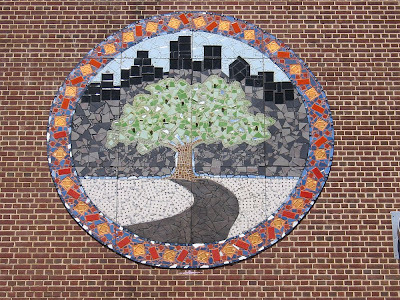 Rizing Sun Glass Works and City Neighbors Hamilton Charter School Mosaic! 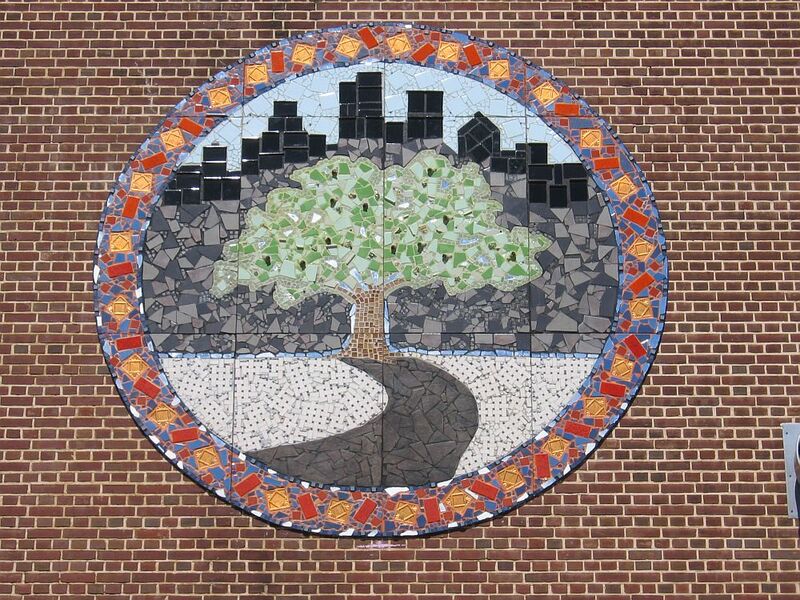 I am pleased to share with you pictures of the City Neighbors Hamilton Charter School Mosaic Mural which was a community project involving school students, parents and AmeriCorp young adults. All tiles laid on this 12ft medallion that represents the school's logo were laid in one day! It has been installed on the high school entrance side of City Neighbors Hamilton which faces Carter Ave., it's worth a drive by! I will be posting more pictures on rizingsonglassworks.com and additional mosaics & classes are coming to Hamilton in the near future! Announcing the Fall 2010 Session at Welcome Om Hatha Yoga! The Fall session begins September 28th and runs through December 20th. ~Stacy Hernandez returns to the studio on October 20th to teach an All-Levels Yoga class on Wednesdays, 5:15 to 6:30pm!! Yeaaa Stacy! ~Dorothy Valakos also returns offering a Level I/II Yoga class on Wednesdays, 7 to 8:30pm (begins 9/29). Yeaaa Dorothy! ~Jeany Baines returns to teach Kids Yoga (for 5 to 8 yr. olds) on Thursdays, 4:45 to 5:30pm (begins 10/1) Yeaaa Jeany! ~Velvet has added 2 new Level I Yoga classes, Tuesdays, 7 to 8:30pm AND Saturdays, 10:45am to 12:15pm. ALSO, one Friday evening per month,Velvet is holding a relaxation event called "Quiet Body/Quiet Mind" Fri.10/15 and Fri.11/19, 7 to 8:30pm. 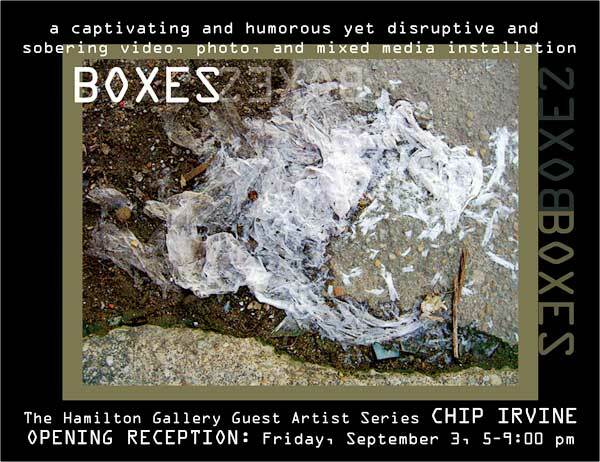 Tea will be served afterward! ~Baltimore's "theater for the people" group FLUID MOVEMENT, will be holding fun choreography workshops called "So You Think You Can't Dance!" which promise to be tons 'o very affordable fun! Organized into 4 week sessions, these classes will begin in mid-October on Sundays, 11am to 12:15pm (Exact date TBA). Thanks Fluid Movement!!! As always, we are so grateful for your support! P.S. The Lauraville Fair is always lots of fun! Held this year on Sept. 25th, 12noon to 6pm at Harford Rd and Parkside Dr.
Summer Reading Program finished up with a bang and now all of a suddenwe are into fall! The afterschool teen game night resumes on a weekly basis Tuesdayafternoons, also at 3:30 p.m. Mother Goose Baby Steps happens every Wednesday morning at 10:30 a.m.for infants and their caregivers. Daycares and other groups arewelcome to attend! Preschool Leaps takes place every Tuesday morning at 10:30 a.m. forkids ages 3-5. It is a great opportunity for children to develop alove of books and stories. We do a lot of moving-around activities tokeep things lively. One might say that I'm jumping the gun here, but it looks like Beth's DIY Workshop is moving.... three doors down the street. 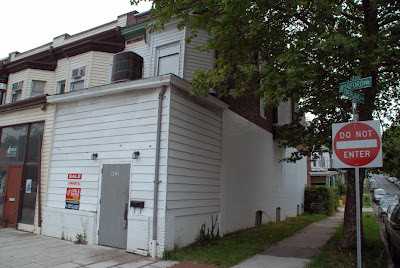 I am in the process of purchasing the old Ham-o-Lea Pleasure Club building (4315 Harford Road). It is my hope that I will be able to move the shop in the next couple of months. I may start having my classes there as soon as October. It all depends on when closing happens and I get my use and occupancy permit. It is my hope that with the added space that I can offer a convenience hardware store, provide a community meeting space, form a non-profit tool library/bank, set up a community work exchange board, and hold more comprehensive classes. I will continue to make keys, repair screens, cut glass (I will now stock glass),repair lamps and assist you in your home improvement projects in any way that I can. I need something from you. First, I need your ideas of what you would like in terms of a hardware store. I will never be a True Value or an Ace, but I do want to get a sense from you of what you want. Second, what do you think about a tool bank? Come on by the shop and give JoAnn or I your ideas or go to www.bethsdiyworkshop.com and send me an email. 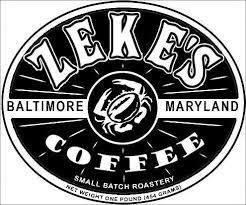 I am at the shop on Tuesdays from 6 to 8 PM during the market and on Friday and Saturday. New classes will begin September 22. See you at the Lauraville Fair on September 25. I also plan to have a few events at the shop, not the least of which, is an open house before the renovations start so that everyone in the neighborhood can finally see what the mysterious Pleasure Club was like inside. Thank you, all for supporting Beth's DIY Workshop. I love working with and serving in this community. 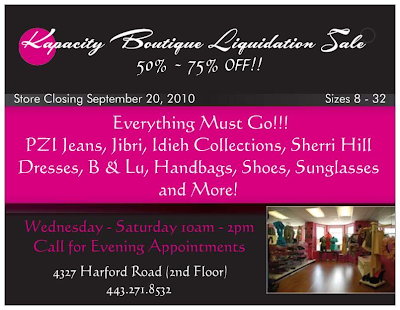 PS The Shop will be closed Friday Sept 17 and Saturday Sept 18 in memory of my sister, Tracy, who took her life in 2005 on that weekend. Thank you again. News from Nicole of the Red Canoe Bookstore Cafe in Lauraville. We have a wonderful line up of authors and events here at Red Canoe to kick off the fall season. September 16 at 5pm, meet D.R. Belz, author of White Asparagus, the Collected Works. September 30 at 6:30pm kick off meeting and reading for several of the writers of City Sages. October 2 at 2:30 brings Steve Cunningham author of Dinosaur Name Poems, a book of dinosaur poems in two languages with lovely illustrations. Stop in soon to pick up your breakfast and coffee to go, or just to chill out in the neighborhood! 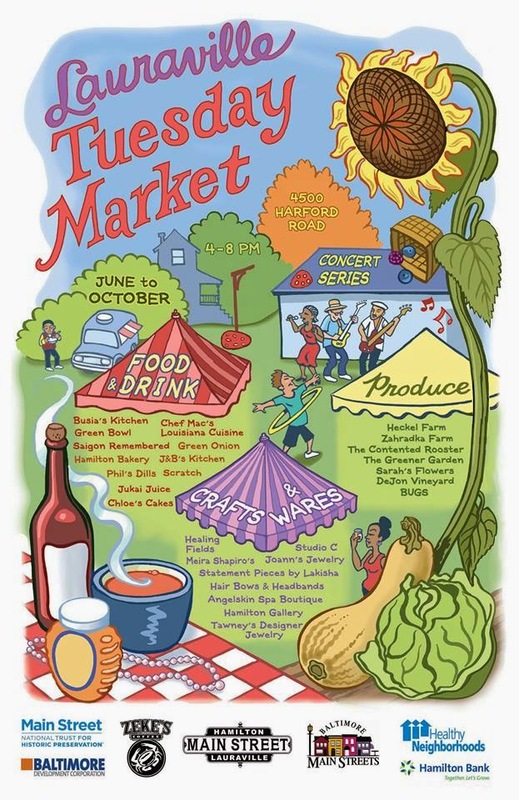 Please stop by the Tuesday Market in Lauraville to enjoy some fresh produce & community activity. Dinner is available on the sidewalk at The Chameleon Cafe, in the backyard garden at the Red Canoe, or on the street next to Safeway. 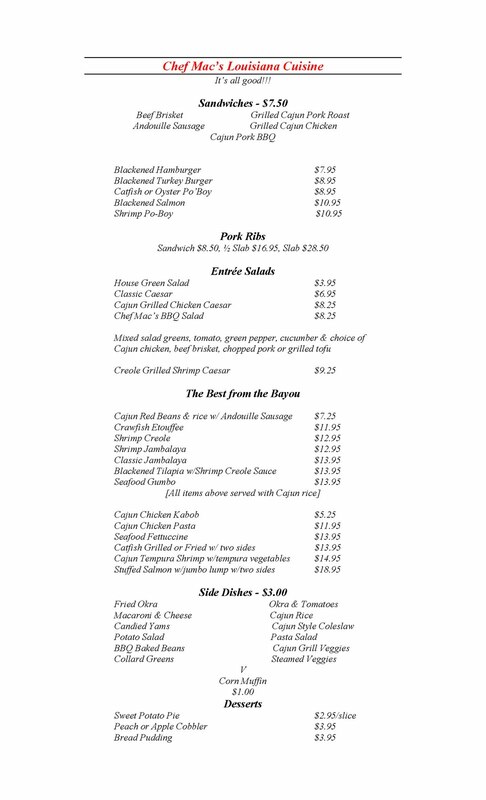 Chef Mac will cook your dinner as well as Wolfe Street Cuisine who prepares a different menu each week. Picnic tables are set up to make dining easy. 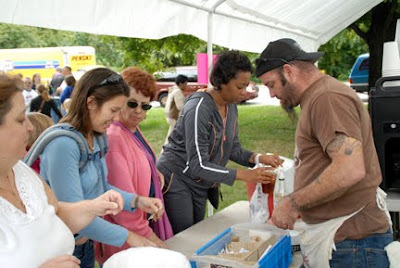 A new vendor will join the market tonight to offer baked bread, cakes & other sweet treats. Orders for fresh pasture-grown turkeys are being taken each week with a delivery date before thanksgiving. Take a moment to support your local business & enjoy your community. We are located in the beautiful Church of the Messiah on Harford and White Avenue (where you might pick up your CSA produce!). We are one of three Maryland Sudbury Schools and one of thirty plus Sudbury Schools world-wide. 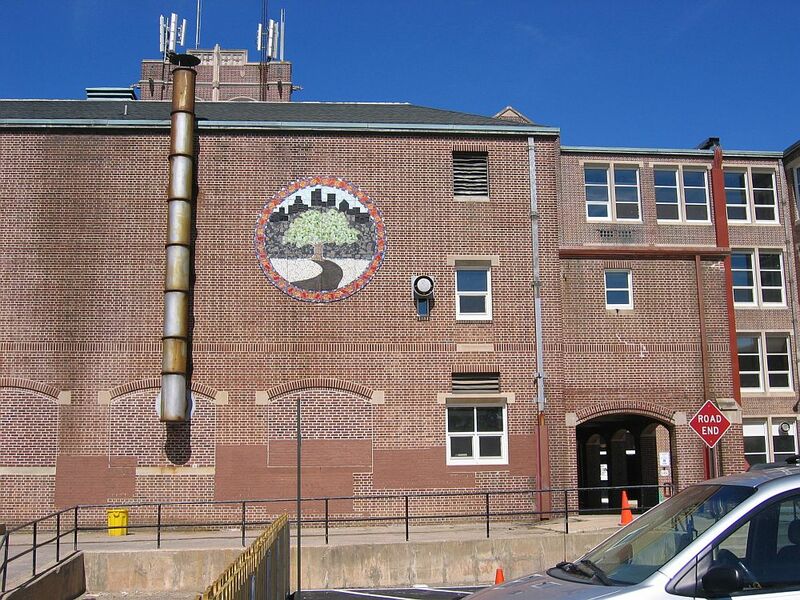 This approach to education has been around since 1968 and began at the Sudbury Valley School in MA. Sudbury Valley in turn, took it's inspiration from the Summerhill School in England, founded in 1921 and still going strong today. Arts & Ideas was founded in 2008 by Arcadian residents, Danny Mydlack and Caroline Chavasse, after relocating to Baltimore from Los Angeles, and specifically choosing the Lauraville area based soley by looking at the website! We choose this area to found the school because of its vitality, cohesiveness and the obvious love and dedication people have for this northeast corner of Baltimore. We spent a few years getting to know families at a playgroup we founded at Faith Community Church and felt some families might appreciate having another school choice among the already strong group of neighborhood schools. We also felt that this area could embrace the healthy and somewhat challenging discussions the Sudbury approach often prompts about education. Happily, a few families have either moved to this area or have not moved from this area so their children could attend Arts & Ideas. 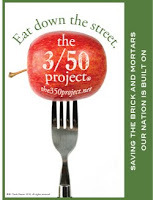 We hope to contribute to the whole pie by being just one more interesting slice in this fine community!Staff also includes Liz Smith from Hamilton (also known for her backyard chickens and bees) and former Rock Candy proprieter, Joel Tyson. 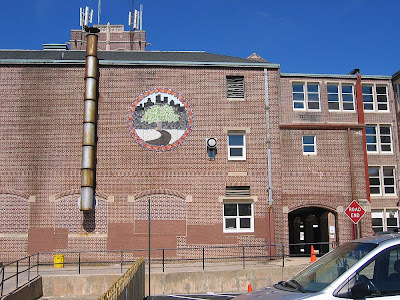 If you'd like to learn more about us, you can visit our website: aisudbury.com. "Director Vicki Abeles turns the personal political, igniting a national conversation in her new documentary about the pressures faced by American schoolchildren and their teachers in a system and culture obsessed with the illusion of achievement, competition and the pressure to perform. Featuring the heartbreaking stories of young people across the country who have been pushed to the brink, educators who are burned out and worried that students aren’t developing the skills they need, and parents who are trying to do what’s best for their kids, Race to Nowhere points to the silent epidemic in our schools: cheating has become commonplace, students have become disengaged, stress-related illness, depression and burnout are rampant, and young people arrive at college and the workplace unprepared and uninspired." Class Schedule of Mid-Atlantic Center for the Performing Arts. It's time for the kids to go back to school, and you know what that means - it's time to register for dance classes! Visit our website to register today, or just call the studio at 443-438-4525. With such a tremendous response to our "Mary Poppins" performance, classes for this season are filling quickly! Register today to get your first choice of class times. If you have not yet seen the photos of the "Mary Poppins" performance, please click here. See you in dance class! Zumba Promotion Continues!We had such a wonderful response to our promotional Zumba classes for the summer, we have extended it into the fall!Take the entire 8 week session for only $40 ~ That's only $5.00 per class!Classes meet on Wednesdays from 7:15-8:15, and the next session begins on September 22nd. Come join the fun! MCPA offers classes in Ballet, Jazz, Tap, Modern, and Hip-hop for all ages. We also have one of the most respected pre-professional ballet training programs in the United States. Come see the difference professional training can make, and let us help your child be the best dancer they can be! 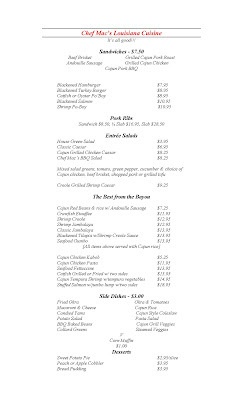 Come on in for Happy Hour! Monday thru Friday 4 - 7 p.m.
Moving Pictures at the Hamilton Gallery: Sept 25 @2:00 p.m. 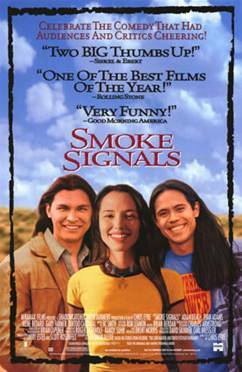 Smoke Signals (1998) is directed and co-produced by Chris Eyre and with a screenplay by Sherman Alexie. Alexie also authored the short story collection on which the film is based, The Lone Ranger and Tonto Fistfight in Heaven. It won several awards and accolades, and was well received at numerous film festivals.